Tony-nominated director Leigh Silverman had all but sworn off helming one-person shows—then “Harry Clarke” came knocking. Written by David Cale, in what would be his first-ever penned piece in which he himself wouldn’t star, Silverman was immediately taken with the searing tale, and as instantaneously could think of just one actor for the title role. 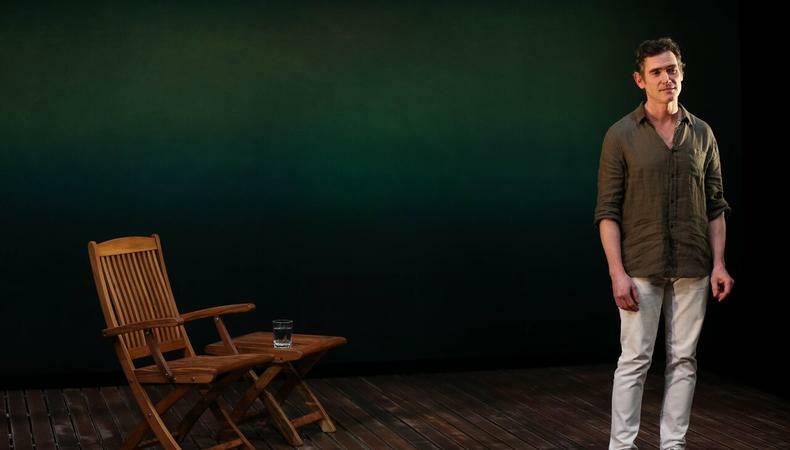 Through a few small scheduling-related miracles, Tony winner Billy Crudup was available, and the 80-minute production took flight at the Vineyard Theatre last year. By popular demand, “Harry Clarke” has returned Off-Broadway, this time running at the Minetta Lane Theatre and produced by Audible (which has recorded the performance as an audio play). In light of the show’s second lease on life, Silverman spoke with Backstage about guiding Crudup through his astounding 19 characterizations throughout the piece, how her directorial approach changes project-to-project, and her advice for up-and-coming female directors. How did you become involved with “Harry Clarke”? David Cale and I have known each other for a very long time. He is the great downtown solo performer, certainly of the last 20 years. I read the play and thought, “This is really one of the most incredible pieces of writing.” Even though I had sort of sworn off doing solo shows, I was like, “This is really incredible.” David wasn’t going to be in it, and it’s the first time he’s ever written a play he’s not in, so I knew it was going to be a crazy first-time experience for him. And then I thought, “I can really only picture one actor in this part”…. All of these parts came together, which, I can honestly say, just never happens. What is the rehearsal process like for a one-man show of this nature? The first time [at the Vineyard], we were so caught up and Billy was overwhelmed, of course, by learning that much dialogue. It’s about 40 pages of single-spaced text. He is truly incredible, but the form of solo performance was one that was very elusive to him. And that’s the thing David Cale lives and breathes, so to be in a room with the two of them was extraordinary. They’re both the very best at what they do, but they don’t do anything that’s the same. We would have these amusing conversations where Billy would say, “Right, but who am I talking to?” David would say, “You’re talking to the audience!” And that would just blow Billy’s mind. Crudup portrays 19 different characters throughout. How do you, directorially, guide him through that? It’s the same detailed character work, it’s just all with one person. Particularly this time around, once he knew what he was saying, we could deeply explore the scene work. We talked about what his character wants, the tactics they use to get it. He is so good at his physical characterization and figuring out which part of the story should be acted out and which shouldn’t. He doesn’t move for the first 20 pages. Directorially, I wanted to explore with him, which he was very game for. I’ve just never seen someone be so still. By the time he does make that first big move, [he and the audience] are both so ready for it and so unprepared for it, and my hope is that it feels surprising. You direct everything from straight plays to one-man shows to song-and-dance musicals. Does your approach to directing—particularly directing actors—change depending on the form of the show? There are necessary differences in terms of what’s required. My job is to figure out the story, understand completely what the author wants, and then to create a vision that can purport what that story is so a design team and a team of actors and, finally, an audience can get onboard and make that story legible and as exciting and as theatrical as possible. One of the things that’s hard about doing that with new plays or new musicals, is that the ground is shifting underneath your feet so you’re trying to come up with a vision that can sustain whatever writing changes are going to happen, whatever performance changes are going to happen. That’s one of the great challenges and satisfying challenges—when it works out well! There is, unfortunately, still such a dearth of female directors in theater. Do you have any advice for female directors trying to break into the industry? It’s really hard to be a young female director. I think that’s because both in our world and our profession, people generally look to the men in the room. A really big part of being a young female director is figuring out your sustainability—being able to find your tribe, make work with your people, get in the room with the people you’re inspired by, figure out a financial stability so you can stay in the business so that when the moment comes and someone turns to you and goes, “I’m gonna take a shot on you,” you’re there. That emotional and financial sustainability is really important for all young directors, but particularly for women because I think that in the entertainment industry there’s a cult of the “young male genius” and there’s not the same thing for women. Inspired? Don't miss Backstage's theater audition listings!